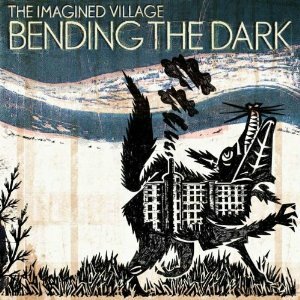 What you have with The Imagined Village is an eclectic mix of instruments and styles that have been brought together to create something new and unique. "The Guvna" comes as a bit of a shock at first as its got such a different sound with the electronics, but once you get over the initial surprise what you're left with is a really nice piece of music. The initial dominance of the electronics is replaced by other instruments for much of the track although they make a return later but in a less dominant way. There are no real lyrics as such, but a voice is used almost as an instrument to enrich the sound. A lovely piece of music. The choice of female vocals for "Sick old man" is an odd choice as the lyrics are an old man telling his story, so having a woman sing it does feel wrong for the lyrics. It's a nice song though and the vocals do go well with the music even if not with the lyrics. "Bending the dark" - The title came from a typo; the original was ‘Bending the Da’, the Da being the 6th note in the Indian Scale. But like all good mistakes it stuck. This is certainly a very interesting album. At times there is a real celtic folk feel, but at other times there is an indian feel, and those are just two of the sounds you get in this album - there is such a unique blend of influences that you're not going to hear anything quite like this anywhere else, and for me that's a good thing as it's important for bands to do new things and to try and make their music stand out from the crowd. A really enjoyable album thats well worth checking out whether you're a fan of folk music or world music. "Bending the dark" will be released on 14th May.